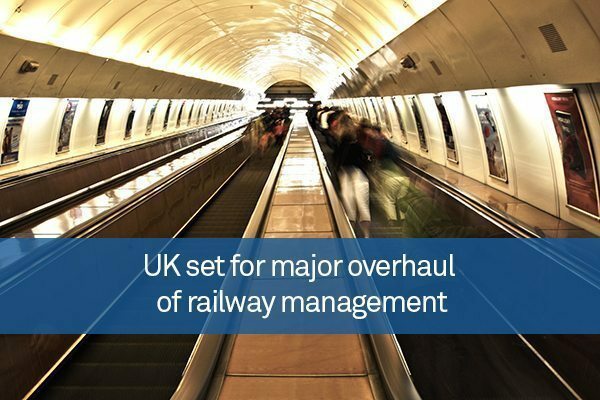 The management and maintenance of the UK’s railway network is set for a major overhaul under plans outlined by the government that will remove many of the divisions between train and track operations. Transport secretary Chris Grayling explained he wants a system where each franchise is run by joint management teams, consisting of representatives from both the train operator and track management firm Network Rail, as opposed to the current situation where track and train operations are completely separated. He said these changes are intended to improve services for passengers who currently have to put up with an increasingly crowded and expensive network. The split between track and train management in the UK dates back to the privatisation of British Rail in 1993, when ownership of the infrastructure was separated from service operators and placed under the control of Railtrack. These assets were later transferred to Network Rail in 2002 after Railtrack encountered financial difficulties. Network Rail was reclassified as a public sector organisation in 2014, but trains themselves are still managed by a range of private companies. Some critics have claimed this separation of infrastructure and services has resulted in significant delays to management decisions, repairs and train services. One of the first projects to adopt the new approach to management may be the Varsity Line between Oxford and Cambridge, which was closed in the 1960s, but is set to be reopened under plans unveiled in the Autumn Statement to improve road and rail transport links between the two cities.